Marco Akuzun in his kitchen at the Top Air restaurant at the Stuttgart Airport. The third installment in CNNMoney's week-long series on the best airport chefs. He's young, creative and ambitious. 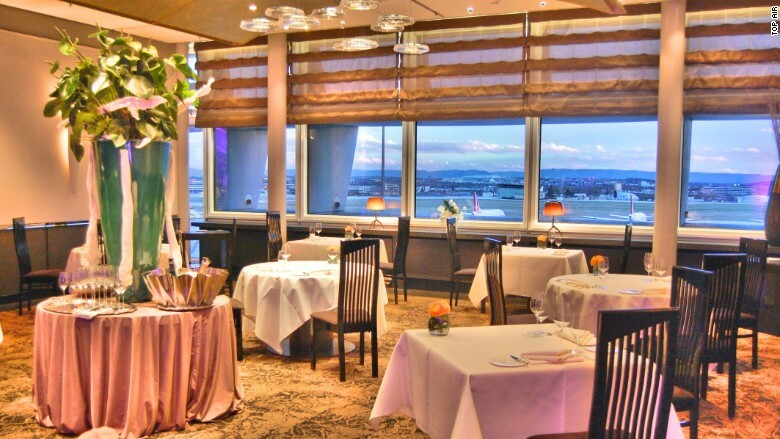 Marco Akuzun serves as head chef of the world's only Michelin-starred airport restaurant. Since 2013, Akuzun, 33, has led Stuttgart Airport's "Top Air" eatery. With a perfect view of the Swabian Alps and Stuttgart Airport's runway, Top Air is right at the point where fine-dining elegance meets frenetic traveling. Akuzun's menu combines German and international influences for dishes that include: foie gras ice-cream; Mediterranean king trumpet mushrooms cooked with veal in a purple curry; and Washugyu -- a combination of Black Angus and Wagyu beef. Cooking techniques, inspiration: Akuzun says his secret weapon is a cosmopolitan mindset and palate. "I seek advice from suppliers and inspiration from rare products," Akuzun told CNNMoney. Those uncommon items from around the world include Chinese imperial caviar, South African langoustines; and French nougat with almonds, beer and plums. 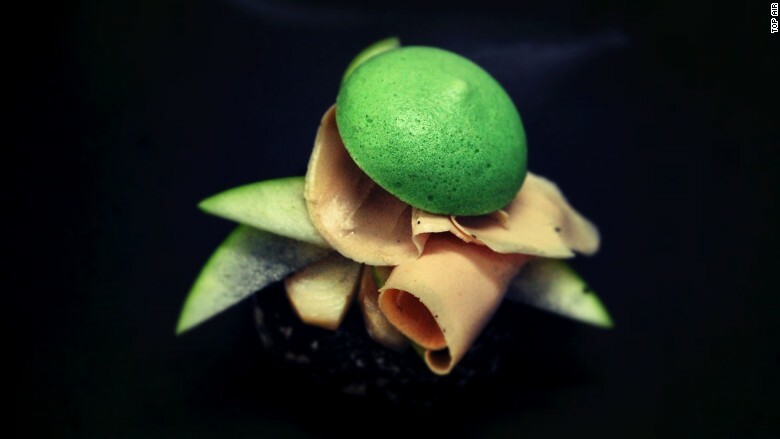 Akuzun uses a variety of techniques -- including sous vide, in which food is sealed in plastic bags and cooked in a low-temperature environment -- to keep his creations fresh and innovative. He's received worldwide acclaim, including a nomination as one of the Talents of 2014 by the famous French restaurant guide Gault & Millau. 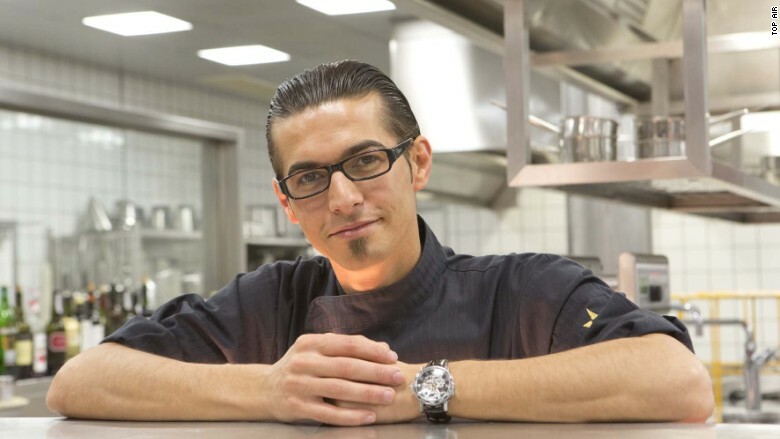 He began his career at restaurants in Germany and Austria. With such notable success, Akuzun told CNNMoney he has only one goal in mind: a second Michelin star for Top Air. COMING TOMORROW: Airport superchef Wai Hung Lai at Hong Kong International Airport.